The New York Knicks have opted to waive center Joakim Noah with two years remaining on his deal. New York had been working to part ways with the 33-year-old over the past month, settling on a waive and stretch provision that will leave the Knicks with a $6.4 million annual cap hit for three seasons starting in 2019-20. Noah has not had any traction on an open roster spot elsewhere in the NBA and reportedly remained unwilling to agree to a buyout. He signed a four-year, $72 million contract with New York in 2016 but saw action in just seven games for the Knicks last season, totalling 40 minutes, and left the team in late January after a dispute with then-coach Jeff Hornacek. 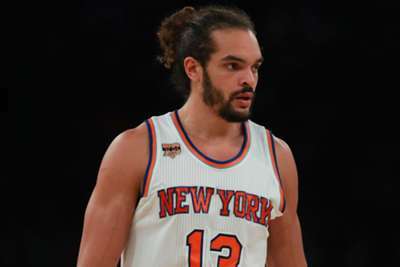 Noah also was suspended 20 games after violating the NBA’s drug policy in March 2017. The center spent his first nine NBA seasons with the Chicago Bulls before he joined the Knicks. He made two All-Star teams and was the 2013-14 Defensive Player of the Year during his time with Chicago. The Knicks also waived Kadeem Allen and Jeff Coby on Saturday.